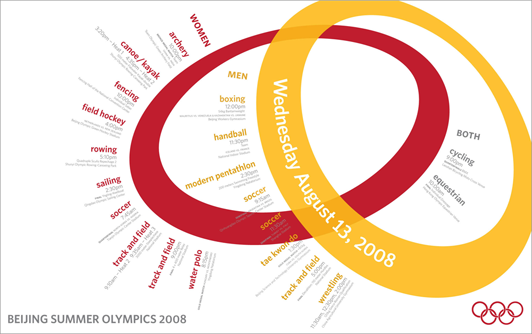 Designed a poster for the Beijing Olympics that displays each day’s schedule of events. Divided up the events by men, women, and both. Poster would change colors and ring placement for the next day.